A few days ago we talked about how the English people are estimated to be of one-third Anglo-Saxon ancestry – with the aid of a comprehensive study that combines archaeological data and DNA analysis. Well this time around, beyond cultural and genetic influences, researchers have come across an entire ‘lost’ island that probably hosted an Anglo-Saxon settlement. In an excavation project conducted by archaeologists from the University of Sheffield, this incredible island was located in the village of Little Carlton, near Lincolnshire. And as has been often the case in recent times, it was an amateur who initially discovered and even assessed the site with the aid of his trusty metal detector. To that end, Graham Vickers, a local hobbyist is the one credited with this fascinating find – touted as one of the crucial archaeological discoveries in Britain in the last decades. When searching in a plowed field, Vickers originally identified a silver stylus (a writing tool) that was later found to be dated from 8th century AD. Upholding his civic sense, the amateur at once notified the Portable Antiquities Scheme. He then later returned to the site for further investigation – an action which resulted in the yield of over hundreds of other artifacts. The ‘hoard’ included another 20 specimens of writing tools, around 300 dress pins, a large number of extant 7th-8th century coins (known as sceattas), and a bantam lead tablet that bore the name of one Cudberg – a definitely Anglo-Saxon female name. Conscientiously enough, Vickers had the presence of mind to ‘virtually’ mark these objects with the aid of a GPS system. Without a doubt, this made the job of the actual archaeologists a lot more easier. 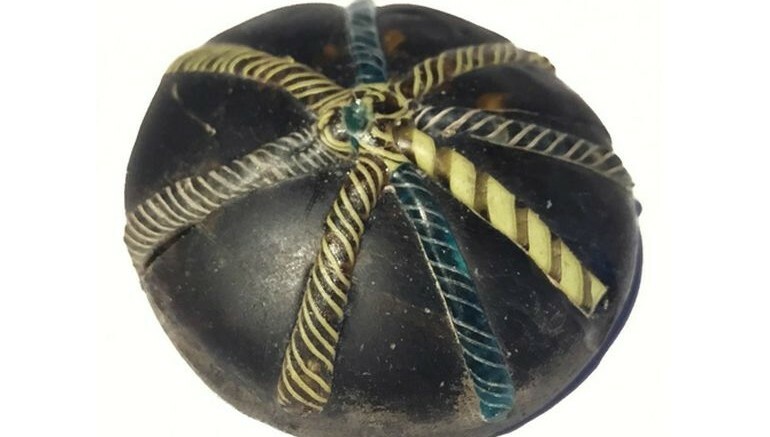 The team from University of Sheffield then further uncovered bone specimens that probably belonged to sacrificed animals, along with pottery artifacts bearing the trademarks of Anglo-Saxon craftsmanship. The experts have also formulated a strategy of digital reconstruction and 3D animation that could precisely present the original conditions of the site, with the aid of both geophysical and magnetometry assessments. 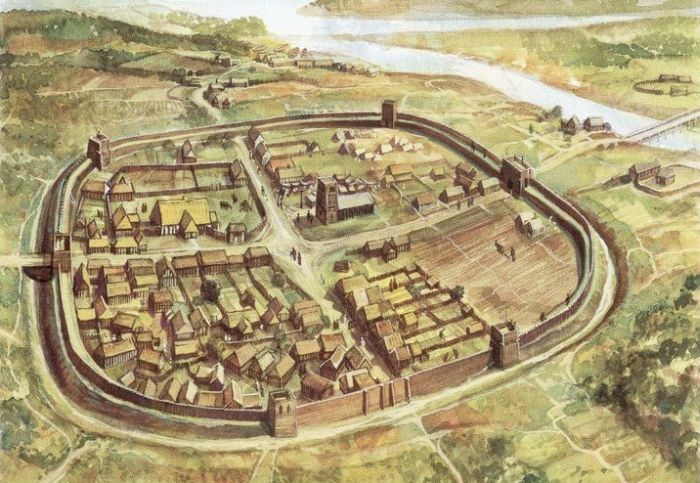 For example, by rendering the (would be) water level of the site corresponding to the 8th century, the archaeologists were able to comprehend that the island was locked between a basin and a ditch. In that regard, this relatively secluded settlement probably pertained to a island monastery or even an important trading center. The latter hypothesis is fueled by the digging of nine evaluation trenches that revealed an accompanying zone that was possibly used for contemporary industrial activities. It’s one of the most important sites of its kind in that part of the world. The quantity of finds that have come from the site is very unusual – it’s clearly not your everyday find. It was a focal point in the Lincolnshire area, connected to the outside world through water courses.